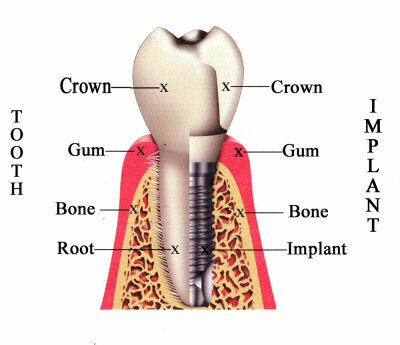 Are you considering dental implants to repair your smile and restore its beauty and function? First of all, kudos to you for taking matters into your own hands by paying attention to your oral health. It’s a life-changing option to actually address the problems, not just cover up this ugly situation. Dr. Larrondo in Hemet, CA is here to help you answer some of those questions. You might regain 90% of your chewing force taking you back to the way you could eat when you were 18 years old. Research shows us that has been well studied. It aids you to more fully chew your food for proper digestion with confidence and comfort. It could give you back the 10 years of life that was taken from you when you lost your teeth. It can STOP the permanent loss of jaw bone. You could gain the force to eat more closely to natural teeth. You might enjoy the taste of your food without additive to hide the messy denture adhesive and thick plastic bases. Now you can enjoy eating while reducing your salt and sugar intake to help control high blood pressure and diabetes. You might not experience that gagging feeling from loose fitting dentures. Your appearance could improve with confidence when you smile, talk, and laugh with friends and family. Committed to transforming your life! Take a look and some actual before and after’s of Dr. Larrondo’s work.